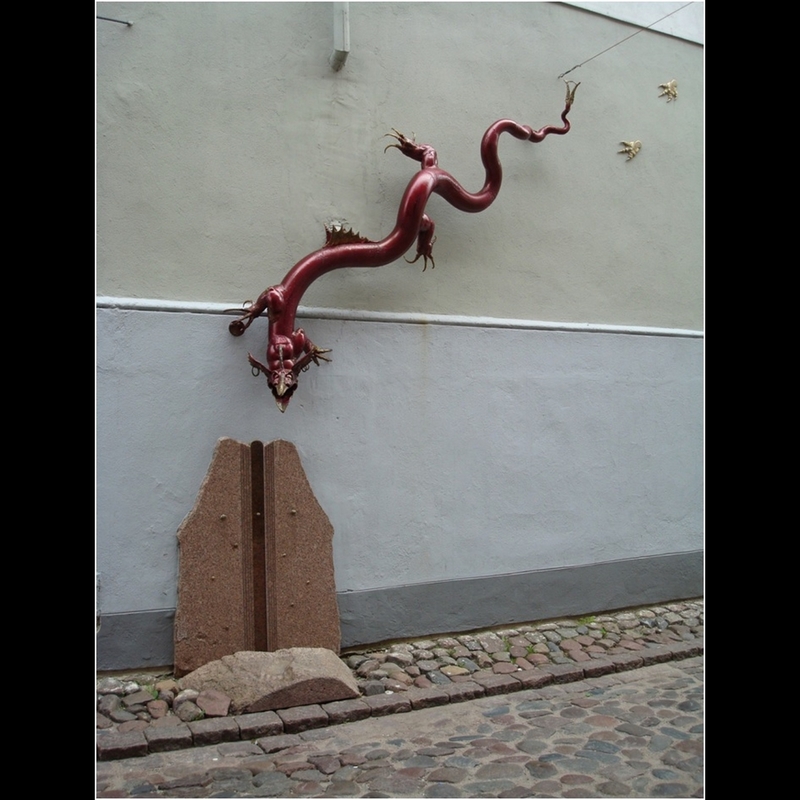 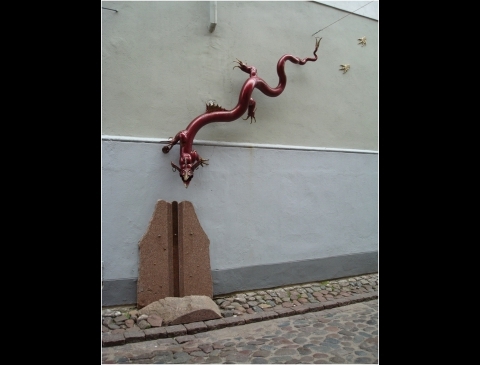 Passerby, having turned from Turgaus street to Vežėjų street, is met by dragon, coiled on the wall in front of the gallery „Pėda“. 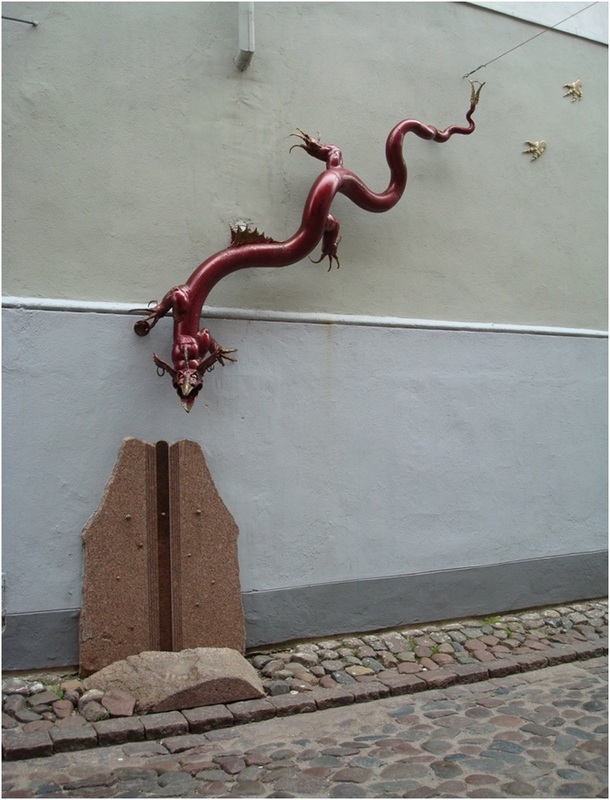 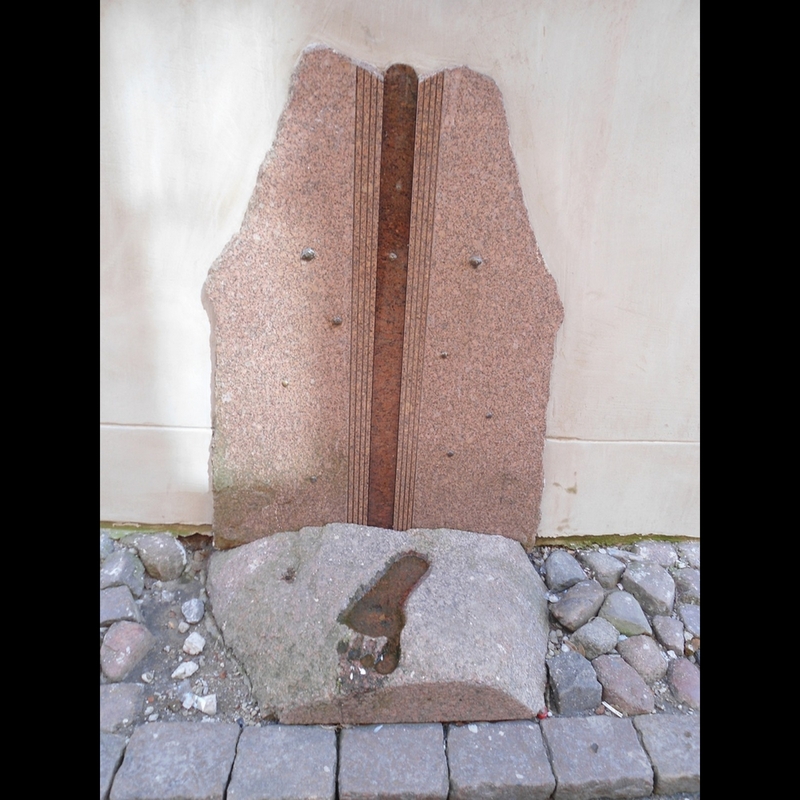 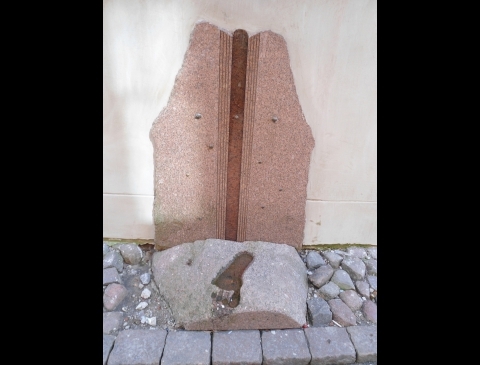 Three and a half meter long steel sculpture – an artist‘s Vytautas Karčiauskas gift to the city and evokes the legend of the swampy foot – one of the version of origin of the city‘s name. 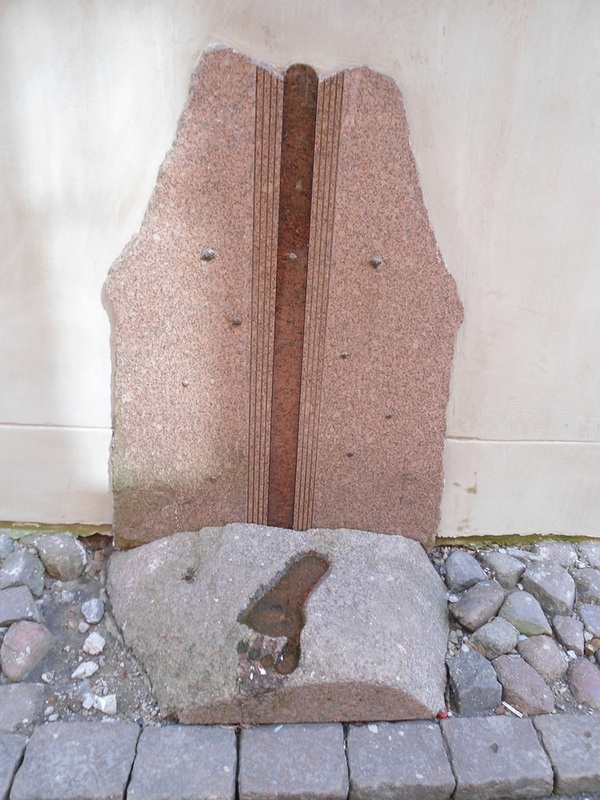 Skulptūra „Slibinas“ / Tekstą skaitė Agnė Jonkutė, 2018 m.